Electrician Rico Bastiaans is featured on one of this year’s survey posters. Responses to UC Davis’ second annual survey measuring academic and staff satisfaction with campus service units are coming in at a faster pace than last year. As of this morning (Feb. 26), 8.3 percent of the recipients had completed the survey and 1.9 percent had started it. The deadline is just over two weeks away: March 13. Voters in the ASUCD’s winter elections gave overwhelming approval to increasing the quarterly fee paid by undergraduates for Unitrans service, allowing the campus-city bus service to comply with the state’s rising minimum wage without service cutbacks. Other Unitrans riders started paying more last summer: more for monthly passes and 25 cents more for the cash fare, up from $1. Also last summer, Unitrans started requiring valid passes or $1.25 from riders on two lines that used to be free: V (West Village) and X (residence halls loop). ASUCD election rules required at least a 20 percent voter turnout, otherwise the Unitrans referendum would have been null and void. The ASUCD calculated a turnout of 35.6 voter percent, and reported the Unitrans results as follows: 9,589, or 91.63 percent, in favor; 626, or 8.37 percent against. Passage required a 60 percent affirmative vote. The Unitrans quarterly fee now stands at $6. With the referendum’s approval, the fee will rise by $13.33 in the fall (to a total of $19.33); by $24 in increments over three years (to a total of $43.33); and by annual adjustments tied to the consumer price index escalator used by the Council on Student Affairs and Fees, starting in the 2023-24 academic year. A portion of the Unitrans fees goes to need-based financial aid. 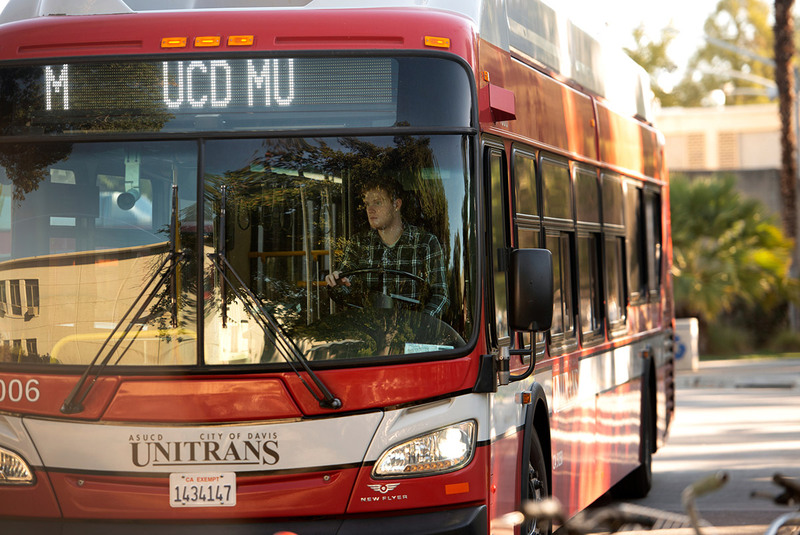 The ballot overview stated Unitrans would use the added funding, in part, to maintain and improve upon the current level of bus service, continue unlimited undergraduate student access to Unitrans, support enhanced driver training in order to expand extra-capacity buses during crowded times and comply with federal regulations, and improve maintenance practices to reduce bus breakdowns. The funding also will go to salaries: Employers the size of Unitrans are subject to a $12-per-hour minimum wage in 2019, rising $1 a year until pay reaches $15 per hour on Jan. 1, 2022. The Pantry, run by the Associated Students of UC Davis for students in need, has moved to the Memorial Union and will hold a ribbon-cutting ceremony next week. The food closet had been in the basement of Freeborn Hall, which is scheduled for demolition. You’ll now find The Pantry in MU 154, adjacent to the information desk in the East Wing. The Pantry is around the corner from the Aggie Compass Basic Needs Center. It will hold a ribbon-cutting ceremony noon on Monday (March 4) at the new location. Any student with a valid AggieCard qualifies for three Pantry “points” per day, to be redeemed for, say, a 1-pound bag of rice (3 points), a medium-sized can of soup (2 points), a can of tuna (1 point) or various personal hygiene items for 1 point each. The unit gets 90 percent of its funding and food through community donations. Responding to a student’s report of a damaged office door in the Art Building before dawn last Thursday (Feb. 21), campus police arrested a man whom they found asleep in the office. Police took Nicholas Chavez to Yolo County Jail on a charge of felony vandalism. Chavez is not a UC Davis student or employee. Police Sgt. Bill Beerman thanked the student who reported the damaged door. “We were able to make this arrest because the student was engaged and called us,” he said.